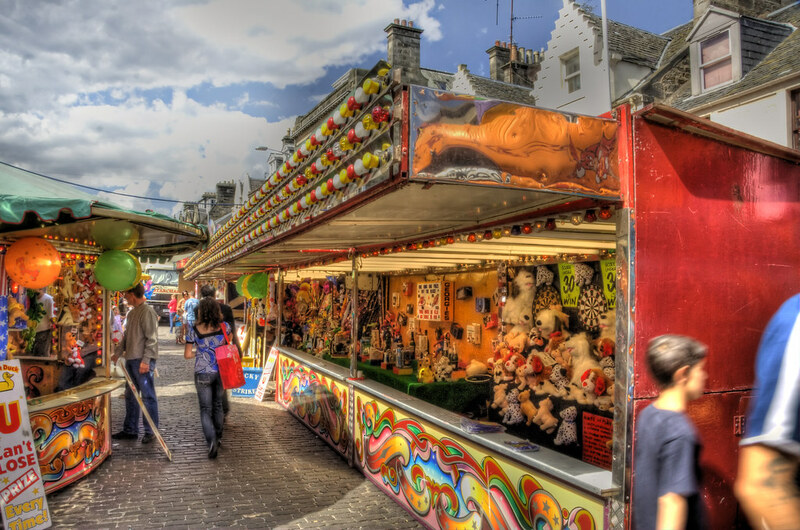 Every year in August, St Andrews hosts a street fair called the Lammas Market. What is unusual about this shot is that its not raining! The Market has 2 distinct parts, this one is Market Street, and consists of mainly small stalls , the Dodgem cars, waltzers and the Ferris wheel. The other part is in South Street which plays hosts to mainly the big rides. It runs from Friday to the Tuesday with the Tuesday always being the second tuesday in August. This entry was posted in Scotland, St Andrews and tagged fife, hdr, Scotland, scottish, skreid, St Andrews, street, town. Bookmark the permalink.